After 69 years, all the Cottages are being asked to open on Saturdays, too. We are excited to be able to greet even more people! However, we don’t always have volunteers. Please call in advance if you are coming specifically to the House of Israel on a Saturday. All of the International Cottages are open on the 4th Tueaday of each month for school field trips. The House of Israel is proud to exhibit ‘Israel’s Contribution to the Environment’. Our over-sized exhibit will allow visitors to learn about Israel’s breakthrough technologies in water conservation and agriculture; at the end, the first 2000 guests will receive a tomato plant grown from Israeli seeds! Earthday allows us to reach visitors that we don’t typically see on a Sunday afternoon, allowing many more to learn about the many Israeli innovations that contribute to a cleaner Earth. Location – Plaza De Panama, Balboa Park – right in the center of the Park! 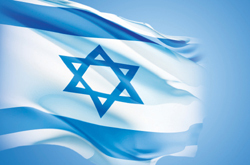 The House of Israel Lawn Program will feature festive songs and dances of Israel. Lawn Programs are held on the House of Pacific Relations outdoor stage just outside the House of Israel. Entertainment is free. Proceeds for food and refreshments support the House of Israel. The House of Israel will feature Latkes, which are traditional potato pancakes, served with applesauce and/or sour cream, always a favorite! Hosted by the House of Pacific Relations, the Ethnic Food Fare features mouth-watering array of main dishes, appetizers, and beverages from each of our 32 International Cottages. From shwarma to bratwurst to egg rolls, you can taste delicacies from all over the world for a nominal price. And if that is not enough, we also feature arts, crafts, and entertainment from various participating countries. We will be closed in observance of the holiday. House of Israel will serve traditional Israeli food and various spirits in the “Beer Garden”. Balboa Park December Nights, the nation’s premier holiday festival, will take place for the 38th consecutive year on Friday, 5-10 pm, and Saturday, noon-10 pm. As always, the event brings families and friends together to spread holiday joy, learn more about the cultural value of Balboa Park and kick-off the “most wonderful time of the year.” Participating Balboa Park museums open their doors free of charge from 5-9 pm both evenings and more than 300,000 visitors are expected to experience the joy of San Diego’s largest free community festival. Those who attend will participate in a truly multicultural experience, enjoying food, music and entertainment from around the world. We will be closed, as we will all be ”sleeping it off” after our big December Nights celebration!